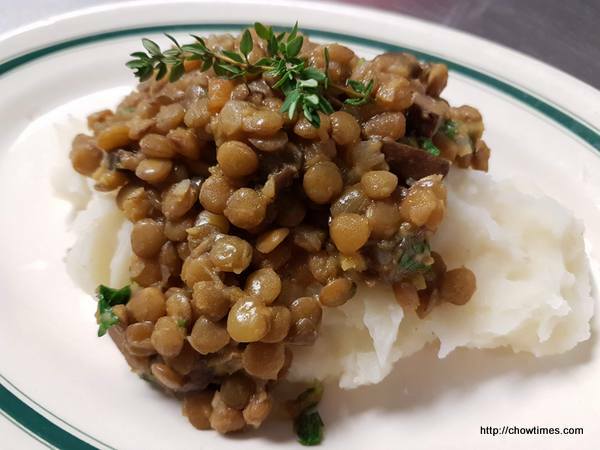 The main course for this vegetarian theme meal at the Caring Place Community Kitchen was a Lentil Mushroom Stew over Mashed Potatoes. This is a very hearty meal. Minoo also suggested that we baked this into a casserole. 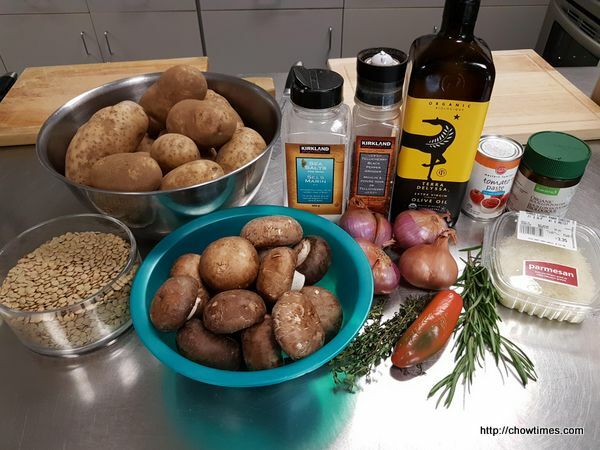 Just lay the mashed potatoes at the bottom of a baking dish, topped with the lentil mushroom stew and then with grated cheese. Baked until golden brown. Sounds delicious. 2/3 cup dry green lentils, rinsed and drained; To improve digestibility, soak the lentils overnight in cool water.